Some say vacationers are divided into one of two camps – Those who love the beach and those who love the mountains. We say you can love both! We do! 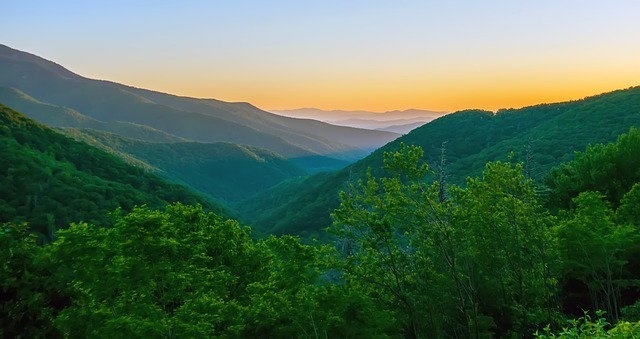 When it gets just too hot at the beach in the latter part of summer, why not retreat to the Blue Ridge Mountains where the air is cool, crisp and clean! While beach vacations are usually about golf, swimming, and relaxing, a mountain vacation offers all those things and more! Picture yourself sitting on a rock with your feet dangling in a cold mountain stream. Now see yourself dropping a line into a deep hole and BAM! you pull out a trout! Let’s see you try that at the beach! Vacationers to the Blue Ridge Mountains enjoy such events as white water kayaking, mountain biking on ski trails, hiking to remote swimming holes for a dip, and plenty of fresh water fishing! If this hasn’t tempted you by now, then just picture our amazing vacation home rentals where you can kick back and relax on the deck or in a hot tub and enjoy the mountainous views. Hop in the car and enjoy a day trip to Lansing Creeper Trail Park or Mount Jefferson State Park. Don’t forget your bikes and helmets because there are plenty of places to ride! If the arts are your thing there’s plenty of arts and culture in the area. Check out the Ashe Arts Center, Catch Light Gallery, R.T. Morgan Art and Glass by Camille, and the Ashe Custom Framing and Gallery. Make a day of it and there are plenty of places to enjoy a relaxing lunch followed by a walk around town!